Fri., May 12, 2017, 8:35 a.m.
HOUSTON – The San Antonio Spurs are thrilled to be in the Western Conference finals for the first time since winning the title in 2014. But they won’t have much time to celebrate with a series against the well-rested Golden State Warriors starting on Sunday. In fact, they were barely going to give themselves two hours to bask in their 114-75 win over the Houston Rockets in Game 6 before looking ahead. While San Antonio fought through six games with the Rockets, the Warriors have been off since wrapping up a sweep of the Utah Jazz on Monday. Along with the fatigue factor, there are also questions about the their lineup heading in Game 1 after All-Star Kawhi Leonard sat out on Thursday night after rolling his left ankle in Game 5. Coach Gregg Popovich didn’t provide many details about Leonard’s injury on Thursday. When asked if he protested when he chose to sit him, Popovich said: “He’d rather play.” But it still seemed to be bothering him quite a bit after the game when he headed to the bus still walking with a noticeable limp. The Spurs will certainly need his stellar defensive skills to contend with a Warriors team that not only swept the Jazz, but also eliminated the Trail Blazers in four games in the first round. The Spurs know that limiting Golden State’s 3-point shooting will be a key in the next round, just as slowing Houston from long range was in the conference semifinals. Houston averaged 20.5 3-pointers in its two wins and just 13 in the four losses. 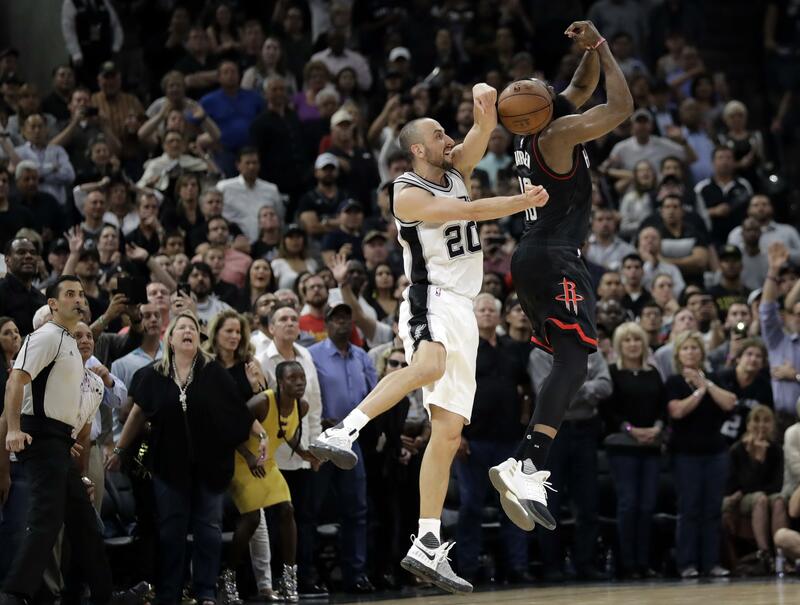 Leonard’s ankle problem wasn’t the only injury San Antonio dealt with in this series, as it came after the Spurs lost veteran Tony Parker to a season-ending quadriceps injury in Game 2. Neither injury seemed to have a major impact on the team, except for the fact that it gave LaMarcus Aldridge a chance to emerge as a dominant scorer for the Spurs. The 11-year veteran, in his second season with the Spurs, averaged just 9.5 points in the first two games before averaging 23.5 in the last four, highlighted by a season-high 34 in Game 6. Aldridge is excited that he was able to play such a big role in helping the Spurs advance, but he isn’t making too much of what will be his debut in the conference finals after failing to get out of the second round in his first six trips to the postseason. Though the Spurs won two of three regular-season meetings with Golden State, they know that this series will be much more difficult than their previous meetings this season. But they’re ready for the challenge. Published: May 12, 2017, 8:35 a.m.